A ruling from the State Court of Appeals upholding a Davidson County Chancery Court ruling ends the long fight to deny a property owner his property rights and stop the construction of an affordable housing apartment complex in Antioch. Property rights and affordable housing won. Meanwhile, some Antioch residents filed suit to stop the development and lost in court, appealed and lost the appeal. 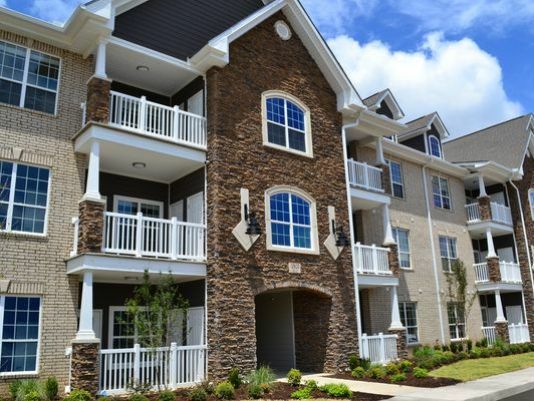 The apartment complex knows as The Ridge at Antioch will be priced to be affordable to people who make 60% of the median Nashville area income, which for a family of three is $37,140. The financing of the project included $11 million in tax credits awarded by the Tennessee Housing and Development Agency. When the councilman tried to kill the project, THDA threatened to withhold future tax credit grants to Nashville if that occurred. Having worked in the non-profit housing sector most of my career, I am well aware of these type tax credit properties. They are not "the projects." The rent price is not based on an individual's ability to pay, but on what is "affordable" for a person of that income bracket. While I do not know the actual rent these units will bring, affordable rent for a person making $37K would be $925 a month. Many people living in apartment developments of this type are not even aware they live in property restricted to people of modest income. There are a lot of single mothers with two children whose income does not exceed $37K and lots of young couples with one child just starting their careers whose income does not exceed $37,000. One will not see old junker cars or any indication that a project of this type is priced to be affordable housing. The people living in these units are not generally people on welfare but are often young working people. While a lot of lip service is paid to affordable housing, there are a lot of metro policies that discourage the development of affordable housing and a lot of hypocrisy around the issue. Some of the Council's biggest advocates of "affordable housing" supported Johnson's effort to kill this development. While I am pleased this affordable housing project can move forward, I am more pleased that there was a victory for private property rights. While I am not an opponent of planning and zoning and think that establishing land uses is proper function of government, it is morally wrong to take away one's property rights. In this case it was especially reprehensible, because the developers and owners were already vested in the development. Plans had been drawn, financing arranged and the project was ready to move forward when the councilman and community tried to take away the property owners right to build. This was a good outcome. To read The Tennessean story, follow this link.